Limitation proceedings Archives - Patent my French! A few days ago, I had the privilege to speak at a joint INPI-EPO conference in the premises of the INPI in Courbevoie. My assigned topic was post-grant proceedings from a patent attorney’s point of view, and I had a few slides on sort of unresolved questions regarding French limitation proceedings. And just a couple of hours before my presentation, I learned that the INPI had just issued its long-awaited guidelines on limitation proceedings the night before. I frantically skimmed the fresh guidelines and as luck would have it, some of the points in my presentation were now obsolete. But that’s all right, I am glad that we now have more guidance from the patent office regarding their practice with respect to requests for limitation. The updated and relevant part of the guidelines can be downloaded here. More guidelines – less guesswork. Here are a few comments from me, after a second and less frantic reading. The patent proprietor may, at any time, the 5-year statute of limitations deadline being complied with, either renounce its patent entirely (total renunciation) or renounce one or several claims (partial renunciation) or limit the scope of the patent by modifying one or more claims (limitation). The surprising part is the reference to the 5-year statute of limitations deadline. Art. 2224 of the Code civil is cited on the side, next to this paragraph. This is the general statutory provision according to which personal actions or actions relating to a movable property are time-barred 5 years from the day the right owner knew or should have known the facts making it possible for him/her to exert the action. I must confess that it is the first time that I have seen any indication that this 5-year time bar, which we have discussed at length in the context of nullity suits, could be of any relevance whatsoever when it comes to the right of a patent owner to limit their patent in front of the INPI. Besides, the French version of this paragraph of the guidelines is actually ambiguous and could be interpreted as meaning that the deadline needs to be complied with, or that it is always complied with. I discussed this sentence with a couple of INPI people at the conference. After this discussion, I must say I still do not really understand the sentence, but I was told that it is not the INPI’s intention to refuse any request for limitation as being time-barred. If the request for limitation is deemed inadmissible, a communication is issued, with a 2-month deadline to complete or correct the request. The request for limitation must be filed by or on behalf of the patent proprietor that appears on the national patent register. Otherwise, the request is inadmissible. This means that, in case of a change of ownership, this change must be officially recorded before a request for limitation can be validly filed. Auxiliary requests are not accepted and, if filed, would make the request for limitation inadmissible. If the patent to be limited is a European patent, the request for limitation and exhibits must be filed in French. But, since the authentic text of the patent is the text in the language of the proceedings (before the EPO), the INPI must examine the limitation based on the text in this language. No translation of the patent into French is required. On the other hand, only the limited claims in the French language will appear on the national patent register. If the request for limitation is admissible but objections on the merits are raised (due for instance to a lack of clarity, or to the absence of an actual limitation), a communication is issued, with a 2-month deadline to correct any deficiency. This deadline can be extended by 2 additional months upon request. Again, it is not allowable to offer several modification proposals. Third party observations are not admissible. The INPI will react to the initial request for limitation or to any further submission by the requester within 1 year, in view of the principle according to which “silence implies refusal” after a 1-year period. One takeaway message from the above is that the updated guidelines now officially confirm that auxiliary requests are not admissible at the INPI. And I assume that this is a general rule. I wonder whether this will still be the case in the national opposition proceedings which may be set up in the near future. I am sure that all European patent attorneys will agree that the right to file auxiliary requests is absolutely fundamental in the patent proprietor’s defense in an opposition at the EPO. And now, the most important information in the guidelines, in my opinion: what is or is not considered as an actual limitation. First, it is possible to limit a dependent claim without amending the independent claims on which it depends. This is consistent with practice at the EPO. Second, a mere clarification of a claim is not allowed. The modification has to actually restrict the claim. Third, changing a claim category is generally not considered as a limitation. Fourth, the addition of claims, either broader or narrower than the existing ones, is prohibited. This fourth point is extremely important, because this has not always been the case. In one lawsuit that I worked on, the patentee had taken advantage of limitation proceedings to double the number of dependent claims without even restricting the main independent claim. Based on informal conversations at the conference, I understand that this would no longer be possible today. The INPI was probably influenced by a ruling from the Paris TGI discussed on this very blog (confirmed on appeal). Last but not least, what the Guidelines are silent on. To me, the elephant in the room is the extremely tricky question of what happens if a European patent is limited in France and then the patent is modified at the EPO in a different manner (in opposition or central limitation proceedings). I am not sure anyone has a clue what would happen in such a case. I understand that the INPI is currently looking at possible options regarding the interplay between French limitation and the future French opposition. Could it be an opportunity to also revisit the interplay between French limitation and European opposition/limitation? I will conclude this post with some numbers. With the help of my colleague Patrick Marollé (thank you), I have looked at the duration of limitation proceedings in France. Based on a sample of 25 cases, we have found an average duration of 11 weeks, from the request for limitation to the official issuance of the limitation. A couple of years ago, I had conducted a similar analysis with respect to central limitation at the EPO, and had found an average duration of … 11 months. So, the winner is… the INPI. This is certainly due in part to a more straightforward procedure (no need for an invitation to file claim translations and pay a final fee for instance). But I am sure part of the explanation is also that INPI examiners handle requests for limitation with a high priority. As a reminder, in one of the recent cases reported on this blog, the limitation was formally issued only 8 days after the request was filed. That record will not be easy to break. The appeal ruling reported on today kept people waiting for a very long time, but the wait was worthwhile for case law observers, as it contains a number of interesting aspects. 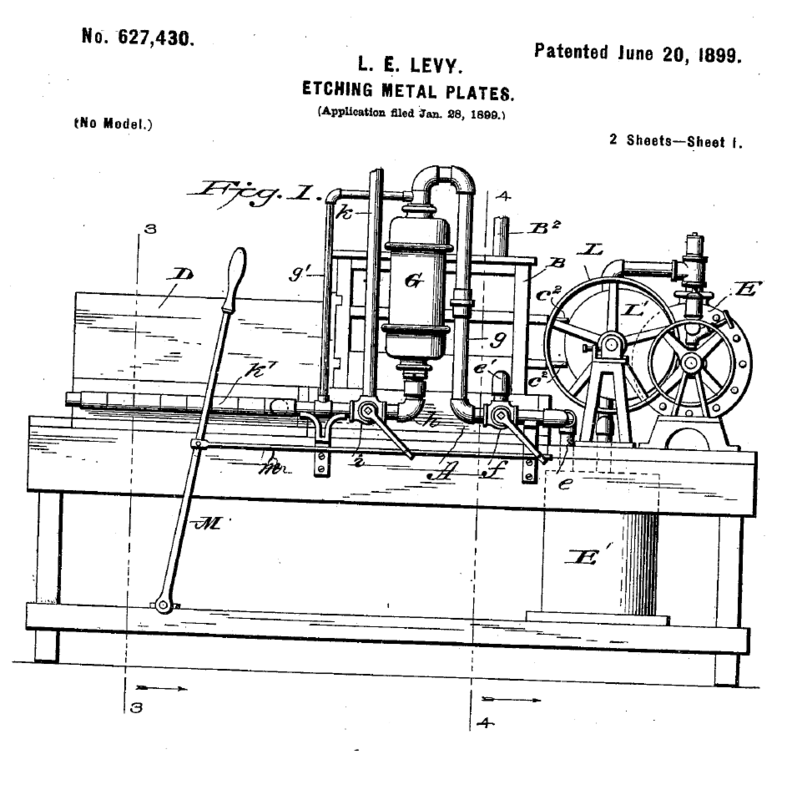 The patent at stake is EP 0570484. It was filed on February 4, 1992 and claimed a priority back to February 4, 1991. The patent proprietor, Trikon Technologies Inc., had an infringement seizure conducted in September 2006 and then sued Alcatel Vacuum Technology France (AVTF) for infringement of the patent. In case you are wondering what the usual pun in the title of this post is about, the patent relates to high density plasma machines for depositing or etching a substrate. Over the course of the litigation, the original companies disappeared, the patent was sold, so, in order not to get lost, I will simply refer to the parties as the plaintiff and defendant, or similar designations. In the first instance judgment dated March 3, 2009, the patent claims asserted by the proprietor were revoked by the Tribunal de grande instance for lack of novelty. The plaintiff appealed, and this is when the case got dormant for a very long time. Presumably both sides dragged their feet. Well, when I say the case got dormant, this is not entirely accurate, as a lot actually happened. First, the proprietor initiated central limitation proceedings at the EPO – and later abandoned it. Then, a national request for limitation was filed at the French patent office (INPI), and was finally granted in September 2012, after a number of objections by the patent office and the defendant acting as a third party. In May 2014, the defendant filed a motion for canceling the order for infringement seizure. Never too late! The appeal judgment does not mention what the objection was, but it was certainly a serious one, as the plaintiff gave up and withdrew its seizure exhibits from the record. Finally, the appeal went to trial in December 2016. As I said, there are several interesting aspects in the ruling, but I will focus on the appraisal of the limited claims by the appeal judges. Parties may also make requests explicit if they were virtually comprised in the claims and defenses submitted to the first judge, and add thereto any claims which are an accessory thereto, a consequence thereof, or a complement thereto. In this case, claim 1 of the patent as limited comprised new features which had thus not been debated in first instance. The defendant then argued that the infringement case based on claim 1 as limited was a “new claim” according to article 564 and thus inadmissible. A very interesting argument indeed, but a long shot, as the court noted that the patent proprietor was entitled to limit its claims “at any time“, and that the limitation was retroactive, pursuant to article L. 613-24 of the Code de la propriété intellectuelle. Therefore, this inadmissibility defense was rejected. It is true that if it had been successful, the benefits of limitation during litigation would have been considerably affected. The second way the defendant challenged the limitation was by asserting that the subject-matter of the limited claims extended beyond the contents of the application as filed. a single loop element encompassing the cylindrical chamber, the loop element being disposed in a plane at an angle of in excess of 45° to the central axis of the chamber, and positioned in an intermediate region along the length of the chamber, said single loop element being coupled to the means for generating high frequency energy. 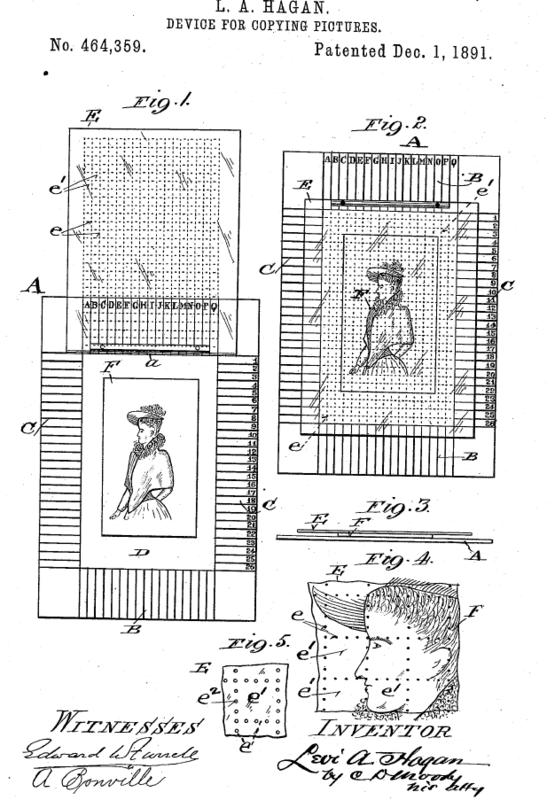 State of the art etching… in 1899. For a bit of nostalgia: the patent was granted 4 months after filing. The content of the application as filed must be interpreted as encompassing the description, the claims and drawings, as well as any teaching, even implicit, directly and unambiguously deriving therefrom, as understood by the skilled person. This was followed by a long and complex discussion of the teaching of the application, which I will not attempt to fully reproduce here. In a nutshell, the value of a frequency of 13.56 MHz was mentioned in claim 4 of the application, but (1) this value was not disclosed in association with a power range of 100 W to 5 kW, and (2) claim 4 depended on claims 2 and 3 which recited further features not included in claim 1 as limited. So one issue was whether the value of 13.56 MHz was generally applicable to the power range of 100 W to 5 kW. And another issue was whether this value could be isolated from the other features disclosed in original claims 2 and 3. Regarding the first issue, the court considered that the application generally taught a power range of 100 W to 5 kW and a frequency range of 2 to 50 MHz. One sentence in the description read: “to effect wave coupling and establish a high plasma current density, measured in mA/cm2, the antenna loop 12 is driven at 13.56 MHz and with RF energy of the order of 2.0 kW (in the range of 100 W to 5 KW) by the RF energy source 19“. This was interpreted as meaning that the whole power range could be achieved with the preferred frequency of 13.56 MHz, and that the value of 2.0 kW was only an example. The interpretation was confirmed by looking at the examples and figures. The defendant argued that generating helicon waves required matching a certain frequency with a certain power, but the court did not agree that the invention was only about generating such helicon waves. Regarding the second issue, original claim 2 mentioned a magnetic field of les than 1000 gauss, a plasma density of more than 1013/cm3 and a loop element at an angle of about 90° relative to the magnetic field; and original claim 3 mentioned a first plasma current and density peak in the grange of about 50 gauss and a second plasma and density peak in the range of about 400 gauss. The court analyzed the application in detail again and came to the conclusion that these various features were not mandatory or essential, and not inextricably linked with the frequency value of 13.56 MHz. Thus, there was no extension of subject-matter beyond the content of the application as filed. Why on earth original claim 4 was then exclusively dependent on claim 3, which itself depended on claim 2, and why this claim did not directly depend on the broadest claim 1, is unclear to me. 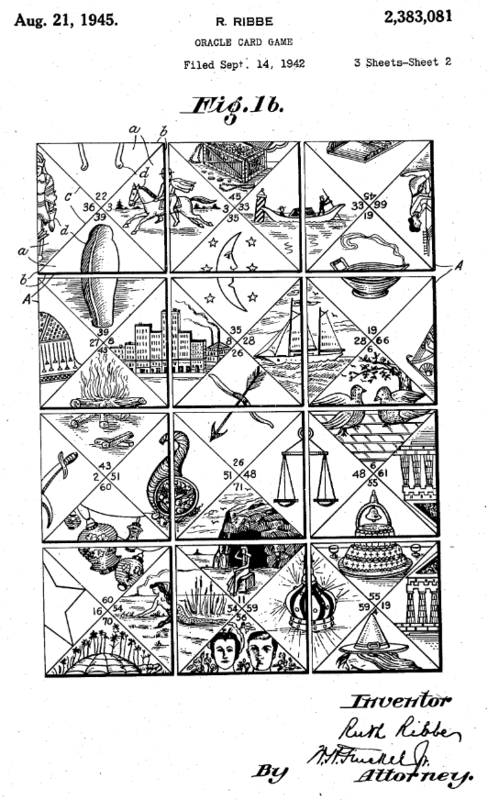 Generally, this is a hint that the various technical features at stake are probably interconnected. Not in this case, apparently – but as I said, the technical discussion was quite complex. Anyway, the patent as limited survived the added matter challenge. It also successfully passed novelty and inventive step challenges. On the other hand, the court found that there was no evidence of infringement, and this is another interesting aspect of this case. As explained above, the evidence seized in 2006 was no longer part of the record, further to the late challenge brought by the defendant against the seizure order. The plaintiff relied on technical manuals and technical specifications of the defendant’s various machines. The court did not even examine whether the technical information contained in these documents reproduced the subject-matter of the patent claims. The affidavit […] contains tables originating from Alcatel’s documentation and states that “Alcatel made and sold 129 litigious machines during the litigious time period”. This does not make it possible to identify the machines at stake. And, due to the quality of its author, it cannot represent objective evidence of the manufacturing or marketing of machines reproducing the features of the EP’484 patent. The court notes that, in view of the documents relied on by SPTS as to the number of machines allegedly manufactured and marketed, they did not undertake any effort making it possible to physically identify any one of the allegedly infringing machines. Technical documents do not demonstrate the actual manufacturing of the machines that they describe. And even if they were indeed manufactured, it is no possible to determine the date of manufacturing nor the manufacturer. Remarkably, the court also rejected a request for the appointment of an expert to assess the extent of infringement and the corresponding damages. The take-away message here is that infringement seizures are a powerful tool for IP right holders in this country. But if for some reason the infringement seizure falls apart, it becomes much more difficult for them to prove their case, and courts are generally unwilling to help them complete it. CASE REFERENCE: Cour d’appel de Paris, Pôle 5 – chambre 2, March 10, 2017, TTI Liquidating Inc. et al. v. Pfeiffer Vacuum et al., RG No. 15/01226. What is new in today’s post? Well, strictly nothing. Nope, nothing new under the sun. In fact, the recent ruling by the Cour d’appel de Paris in Avery Dennison RIS France & Avery Dennison Sytèmes d’étiquetage France v. Directeur général de l’INPI is pretty much a copy and paste of Free & Freebox v. Directeur général de l’INPI issued a few months ago and already reported on here. So is there really a need to discuss it? After all, case law is more interesting when it tackles new issues or when it features a change in practice. But the point is, sometimes even established case law can be somewhat questionable from a practitioner’s perspective. And in this case, I must say I struggle with fully understanding the court’s reiterated rationale. Copying an IP judgment – a paradox? The issue at stake is the limitation of a patent in front of the INPI (which is the French patent and trademark office), and which options are available to third parties to challenge this limitation. Appeals against decisions issued by the INPI are generally supposed to be lodged with the Paris Cour d’appel. Accordingly, a number of third parties have tried to challenge decisions of limitation of patents in front of the Cour d’appel, by directly appealing these decisions – oftentimes parallel to ongoing litigation. And they have lost, their appeals being deemed inadmissible. The present case is no exception. In particular, the Paris Cour d’appel (with the support of the Cour de cassation in Teisseire v. Directeur général de l’INPI) has consistently held that challenges against the limited claims must be brought in the context of a nullity lawsuit. This means that such challenges have to be brought in front of the Paris Tribunal de grande instance (TGI), not the Cour d’appel. But here is the thing. Grounds for nullity are supposed to be listed in a limitative manner in the law, be it in article L. 613-25 Code de la propriété intellectuelle (CPI) for French patents, or in article L. 614-12 CPI together with article 138 of the European patent convention (EPC) as far as French parts of European patents are concerned. These grounds of nullity notably comprise lack of novelty, lack of inventive step, insufficiency of disclosure, extension of subject-matter beyond the contents of the application as filed and extension of the scope of protection after grant. What the statutory grounds for nullity do not comprise is lack of compliance with article 84 EPC (or its equivalent in the CPI), per which the claims “shall be clear and concise and be supported by the description” is not a ground for nullity. Just like a lack of clarity is not a ground for opposition at the EPO either. Nevertheless, when the INPI examines a request for limitation, they are supposed to check whether the claims as limited are clear and concise and supported by the description. See article L. 613-45 CPI together with article L. 612-6 CPI. The question is whether and how third parties may challenge the result of this part of the examination conducted by the INPI. If we turn to the parallel situation of limitation proceedings at the EPO, the answer is clear. Only parties to the proceedings can file an appeal against a decision issued by the EPO. A third party, as its name indicates, is not a party to the limitation proceedings and thus cannot appeal the decision of limitation, even if they deem that the limited claims are e.g. unclear. In France, third party appeals are not ruled out as a matter of principle. By way of example, it is relatively common for a third party to challenge a decision of restoration of a patent by the INPI. See an example here. But when it comes to decisions of limitation, third party appeals are usually stroke out in view of the arguments raised by the appellant. In the present case, the French part of a European patent was limited by Gemalto, parallel to ongoing patent infringement proceedings against two companies of the Avery Dennison group. Avery Dennison appealed the decision of limitation and argued (among others) that the claims as limited are unclear. […] The arguments by Avery Dennison supporting their request for cancellation of the decision of the general director of the INPI, per which the claims as limited are not clear and not supported by the description, are analyzed as arguments of invalidity of the patent enforced against them in the framework of the infringement suit. These arguments, which put into question the limitation itself, i.e. whether the modified claims comply with the law, pertain to the jurisdiction of the judge in charge of assessing the validity of the patent. In this case, there is a counterclaim for nullity of the claims of the […] patent pending in front of this judge. His jurisdiction extends to all patent validity challenges, be it arguments of extension of an absence of limitation or arguments of a lack of clarity of the claims or a lack of support in the description, which are indeed exceptions which can lead to the nullity of a patent. Just to be very clear on this: I perfectly understand that it may make a lot of sense for the same court (the TGI) to be in charge of assessing all challenges against the patent claims. What I do not understand is the last sentence in the above quote. In other terms, why does the Cour d’appel deem that a lack of clarity of the claims or a lack of support in the description, can lead to the nullity of the patent? I can come up with three possible explanations. Option 1: the court simply did not (does not) understand that not all conditions to be examined before granting limited claims can be challenged after the limitation, based on the listed grounds of nullity. I think this is unlikely, because the point has certainly been explained to the court time and time again in this case and previous similar ones. Admittedly, it is probably easy to confuse a lack of support in the description (not a ground for nullity) with insufficiency of disclosure (ground for nullity). Both concepts are quite close, as explained in section F-IV, 6.4 of the EPO guidelines for examination. Actually, lack of support can also be easily confused with extension of subject-matter. But lack of clarity on the other hand is quite clearly different from insufficiency of disclosure, or any other ground for nullity for that matter. Option 2: the court deems that judges have such a large discretion in examining the actual grounds for nullity, such as insufficiency of disclosure or even lack of novelty, that they can very well revoke a patent under one of these statutory grounds if there is a lack of clarity in the claims. This would be a pragmatic approach but not a satisfactory one on the legal standpoint. The legislator purposefully set out a number of distinct requirements to be handled differently. So why should judges be allowed to blur the lines between them? Option 3: the court believes that all statutory conditions may be examined in the context of a nullity claim or counterclaim, including clarity and conciseness mentioned in article 84 EPC or article L. 612-6 CPI. This would be a very bold position, since, at least as far as European patents are concerned, article 138 EPC provides that “a European patent may be revoked with effect for a Contracting State only on the grounds that“, and then comes a list of grounds which does not contain lack of clarity and conciseness. But let’s explore option 3 a little bit more. If this is indeed what the court has in mind, is this situation specific to limited patents? Does it also extend to patents modified in opposition at the EPO? Or has lack of clarity now also become a ground for nullity for all patents, even those which were not modified after grant? One other argument which – as far as I understand – was raised in the appeal, was that the modified claims were not a limitation. Here, the court’s position seems to be that modified claims necessarily lead to a limitation of the scope (and thus are allowable) or to an extension of the scope (and thus can be revoked in a nullity challenge). But aren’t there yet other situations in which the modified claims could result neither in a limited scope nor in an extended scope? What about for example claims which are modified only to provide some clarification? In such a scenario, shouldn’t a third party be allowed to challenge the decision of limitation per se? After all, the INPI is supposed to only grant actual limitations, not clarifications. And if no extension of scope results from the modification, it should not be possible to challenge it in a nullity suit, oder? I must admit that this latter question is trickier. But at least the main point raised above really needs to be clarified once and for all. CASE REFERENCE: Cour d’appel de Paris, pôle 5 chambre 2, February 10, 2017, Avery Dennison RIS France & Avery Dennison Systèmes d’Etiquetage France v. Directeur général de l’INPI, RG No.15/25007. There are at least three interesting aspects in today’s decision, as well as a sort of infuriating one. The interesting points are limitation, public prior use and inventive step. The infuriating one is a mistake made by the court, which stumbled over dependent claims – despite vocal criticisms of this type of mistakes made by various commentators over the years. But before I address these points in turn, a few words on the background. The claimant in this case is Concept Microfibre, a French company specialized in microfiber textiles, as its name suggests. They own two French patents filed on the same day, FR 2926204 (FR’204) and FR 2926205 (FR’205). In 2012, Concept Microfibre sued another French company Distribution de Matériel Européen (DME) as well as its Italian mother company, Filmop, for infringement of the two French patents. Further to the classical nullity counter strikes, the Paris Tribunal de grande instance (TGI) revoked claims 1, 2 and 3 of FR’205 (which were relied upon by the patent proprietor) in its judgment dated July 3, 2014; but the other patent FR’204 was upheld, and the defendants were found liable for infringement. They appealed, which leads us to the judgment of September 27, 2016 by the Paris Cour d’appel. On appeal, the patentee did not fight the revocation of claims 1, 2 and 3 of FR’205 by the TGI. So, this was quite easy to deal with for the appeal judges, and this part of the TGI decision was confirmed. What was more challenging for the court was to handle the other patent FR’204. The first challenge was that the FR’204 patent was limited during the appeal proceedings, or more precisely at the onset of the appeal proceedings. The appeal was lodged on August 27, 2014, and a request for limitation of FR’204 was filed less than 2 months later, on October 16, 2014, at the INPI (French patent and trademark office). The limitation was accepted by the INPI on January 9, 2015. The limitation consisted in combining claim 1 with claims 2 and 4. The alleged infringers claimed that this limitation was invalid, because the limitation was requested “in order to adapt the right so as to escape a looming revocation” (uh, yes, that’s kind of the whole point of limitation proceedings) “and so as to harmonize it with the features of the products that they market” (right, too bad the patentee did not add a feature clearly not present in the alleged infringing products). The alleged legal basis for the invalidity of the limitation was the legal principle “fraus omnia corrumpit“. As much as I like Latin phrases, especially when I happen to know what they mean, the argument was clearly a long shot. The court easily concluded that the limitation was neither fraudulent nor improper, and that the defendants had had enough time to challenge the validity of the limited claims. What I do find puzzling in this limitation case, though, is why the claims were limited in the first place. Usually, claims are limited on appeal when the patent is revoked in first instance (see a recent example in the Orange v. Free litigation). But in this case the patent was upheld in first instance. Did the appellants immediately file submissions together with their appeal of August 27, 2014, and did these submissions contain new arguments which appeared more serious and threatening to the patentee? It is possible, but we cannot know for sure as the file wrapper is not part of the public record. As far as I can tell, no new prior art was cited on appeal. On the other hand, it seems that the appellants developed a proper argumentation of lack of inventive step, which was not the case in first instance. regarding the first part of the characterizing portion [of the claim], the defendants did not make any observation on its inventive character and on the approach that the skilled person would have to make this composition and its particular structure. So I can only speculate that a convincing argument of lack of inventive step was newly introduced very early on appeal, which led to the limitation – unless readers have other ideas? Anyway, the proprietor may actually have underestimated the new argument in spite, as the main claim as limited was ultimately found not to be inventive by the court! – on the cleaning surface, the textile composition made of polyolefine is slightly below the textile composition made of hydrophilic microfibers. Brooms are not just useful for scrubbing and absorbing fluids. the closest prior art which is selected must be relevant, that is it must correspond to a similar use and must require the fewest structural and functional modifications to arrive at the claimed invention; said closest prior art must therefore have the same purpose or effect as the invention or at least belong to the same technical field as the claimed invention or a closely related field. The court identified the technical problem addressed in the patent as improving the efficacy of cleaning cloths both for scrubbing dirt and for absorbing fluids, owing to the two textile compositions. Then, the court identified three relevant documents which could represent the closest prior art, without really singling out one among the three. They all belonged to the same technical field although their purpose was slightly different (namely, the prior art cloths were intended for sweeping, not scrubbing). Two Korean documents both taught two textile compositions, one made of hard polyolefine fibers (suitable for scrubbing) and one made of hydrophilic fibers (suitable for absorbing fluids), the titer of the former being greater than the titer of the latter. A PCT application disclosed distinct areas, with fibers made of a single thread extending towards the cleaning surface. Finally, a U.S. patent disclosed a cloth made of fabric comprising thread loops of different lengths depending on their purpose (absorption of dirt for the longer loops and absorption of liquid for the shorter ones). does not contravene any prejudice, does not represent any breakthrough relative to the methods already taught, does not overcome any technical difficulty and does not provide any unexpected or surprising result. On the face of it, and with the important caveat that I have not examined the prior art nor the submissions of the parties (which are not public), this conclusion seems to make sense. Claim 5 recites that the polyolefine is polypropylene, but this claim lacks novelty, since claim 1 of Korean patent 10-0718962 already discloses fibers areas made of polypropylene. It is unfortunately relatively common for our judges to get dependent claims wrong. Here, the court apparently focused only on the features contained in claim 5, without realizing that these features should be read in combination with those of claim 1. If claim 1 is novel, then claim 5 is also novel. It can at best lack inventive step, like claim 1. By the way, the frequency of this type of error regarding dependent claims is probably a factor to be taken into account by patent proprietors when determining their litigation strategy. If you know that your main claim is weak, it is probably better to amend it by way of a limitation rather than assume that a stronger dependent claim will survive if the main claim is revoked. Of course, that can happen, but you’d better not count on it. As mentioned at the beginning of the post, the way the court handled the public prior use defense was also interesting, I will try to address it in another post. CASE REFERENCE: Cour d’appel de Paris, pôle 5, chambre 1, September 27, 2016, Filmop Srl & SASU Distribution de Matériel Européen v. SAS Concept Microfibre, RG No. 14/18000. One of the first posts of this blog was dedicated to a prominent lawsuit between two telecom operators, Orange and Free. As was reported at the time, Orange claimed infringement of the French part of its European patent EP 2044797. Orange lost in first instance, as the Paris Tribunal de grande instance (TGI) revoked the patent in a judgment dated June 18, 2015. Some of the claims were found to lack novelty, while others were found to be directed to computer programs as such, i.e. were found not to be directed to patent-eligible subject-matter. Orange lodged an appeal against this decision on July 27, 2015 – which as far as I can tell is still pending. However, there was an interesting side development, which leads me to today’s discussion. On August 26, 2015, Orange filed a request for limitation of the French part of the European patent at stake. This is now a classical move in patent litigation in this country: amending claims so as to render a nullity challenge moot. Since the confirmation rate at the appeal stage is relatively high, the limitation of a patent after a revocation in first instance is sometimes the only way to shake things up for the patentee. On September 2, the Institut National de la Propriété Industrielle (INPI) accepted the request for limitation. This is only one week after the request was submitted. This is fast, isn’t it? As in light’s speed fast, actually. A centralized limitation of the patent at the European patent office (EPO) would certainly have taken much longer, at least several months. 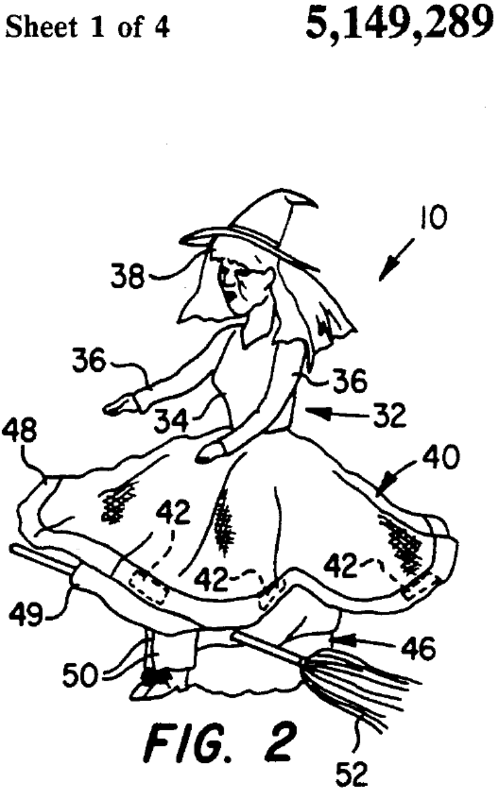 This is certainly a strong incentive for going the national way when considering the limitation of a patent. Free, the alleged infringer and nullity claimant, that prevailed in first instance, lodged an appeal against the limitation decision. Appeals against decisions issued by the INPI are handled by the Paris Cour d’appel. In this case, the appeal gave rise to two judgments, both dated September 9, 2016. Why two judgments? Well, part of the case made by Free was that several provisions of the Code de la propriété intellectuelle (CPI) are contrary to the French constitution. This what is called a QPC, which stands for “question prioritaire de constitutionnalité” (or priority constitutionality question). QPCs are referred to the Conseil constitutionnel – which is our supreme court for constitutional issues – but only after passing two filters. The first filter is that the court to which the QPC is submitted must accept to forward the QPC to the Cour de cassation or the Conseil d’Etat (respectively judicial supreme court and administrative supreme court). The second filter is that the Cour de cassation or the Conseil d’Etat must then accept to forward the QPC to the Conseil constitutionnel. The QPC system is out of the scope of the present post. It will suffice to say that in the present litigation the QPC was handled separately from the rest of the case, hence the two judgments. 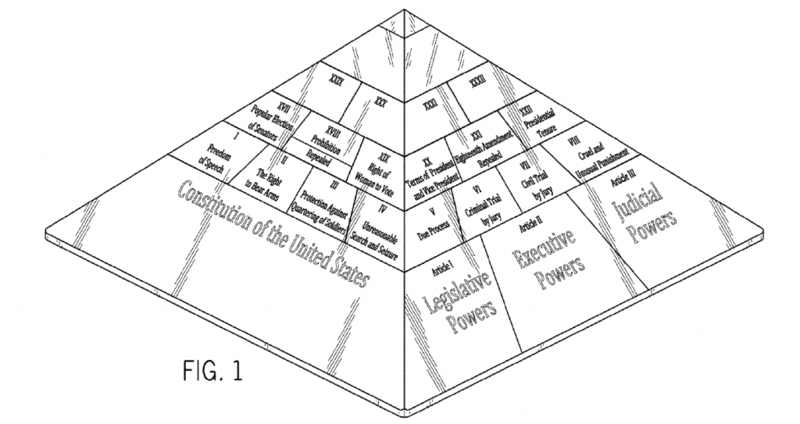 The constitution – beautiful as a pyramid. But wait – this is not the right constitution is it? However, the outcome was similar as both Free’s appeal per se and its QPC were held inadmissible. There are not many details in both judgments regarding Free’s arguments on the merits. It is simply stated that they claimed there was “an absence of clarity and concision of the limitation, which, in the absence of a corresponding description, is not a limitation“. […] The arguments made by Free and Freebox in favor of their request for cancellation of the decision of the INPI’s director can in fact be analyzed as arguments of nullity of the patent which is asserted against them in the context of the infringement suit […]. These arguments intend to call into question the limitation itself, namely the conformity of the amended claims to the applicable legal provisions. They pertain to the jurisdiction of the judge in charge of controlling patent validity, which in this case is actually already involved. This jurisdiction extends to arguments relating to an alleged extension as well as relating to a lack of clarity of the claims or their absence of support in the description. This finding will not come as a surprise to all those familiar with previous case law on limitation proceedings. It is consistent with a number of previous rulings. Courts are not keen on allowing appeals against national limitation decisions; they believe that whether the limitation complies with the requirements of the CPI should be handled in the context of a nullity action or claim. However, to some extent this established case law is problematic, as many observers have long realized. Indeed, grounds for nullity (be it of a French patent or a French part of a European patent) include inter alia lack of novelty, lack of inventive step, insufficiency of disclosure, extension of subject-matter and extension of the scope of protection. This list of grounds for nullity is provided in article L. 613-25 CPI for French patents and article 138 EPC for European patents (to which article L. 614-12 CPI makes reference). However, a lack of clarity or concision of the claims, or a lack of support of the claims by the description, are not grounds for nullity. All European practitioners know very well that lack of clarity or support by the description are not grounds for opposition at the EPO – well the same is true of grounds for nullity. On the other hand, clarity, conciseness and support by the description are requirements which are to be taken into account in examination proceedings but are not supposed to be reviewed in a nullity suit. The claims define the subject-matter of the protection which is requested. They must be clear and concise and be supported by the description. Therefore, it seems that clarity, conciseness, and support by the description are legal requirements that the INPI must check when examining a request for limitation. And those are not grounds for nullity. Thus, if amended claims that are unclear, lack conciseness, or are unsupported by the description (which is not the same as covering subject-matter extending beyond the contents of the application as filed) are nevertheless accepted by the INPI, it would make sense to be able to challenge the work done by the INPI in the context of an appeal against the limitation decision. First, the INPI is an administrative public institution which cannot be subjected to all rules on fair trial. Second, it was already stated that this [QPC] is the subject-matter of a distinct procedure registered under number RG 15/24934 and is dealt with in another judgment also issued today. Free and Freebox can therefore not ask the court to decide on a question which they request should be examined first by the Conseil constitutionnel. If I understand the first sentence in this paragraph, I cannot help wondering about the second part. If my law school memories are correct, the Conseil constitutionnel does not control compliance of French laws with the ECHR or any other international treaty. This task is left to judicial and administrative judges. It seems that Free’s objections to the law were basically the same from the viewpoint of the ECHR and of the French constitution. But there were apparently two distinct legal bases for the objections, and I wonder whether it was correct to lump them together. So, let’s move on with the second judgment on the QPC. The legal provisions which were challenged in the QPC were articles L. 613-24, L. 613-25 and L. 614-12 CPI. The first one is the main legal provision allowing a patentee to request a limitation of its patent. The second one contains the grounds for nullity of a French patent and specifies that the patent may be limited in the course of a nullity action. The third one provides that the grounds for nullity of a European patent are set forth in article 138 EPC and that it is possible to limit the patent in the course of a nullity action. According to Free, these articles breach fundamental rights enshrined in the constitution, including the right to a fair trial. the admissibility of the [QPC] which is raised in the course of the appeal against the decision of the INPI of September 2, 2015 depends on the admissibility of said appeal. Since the appeal was dismissed as inadmissible, as noted above, the QPC was therefore also held inadmissible. This is a little bit of a vicious circle. According to this reasoning, how can one possibly challenge the constitutionality of a legal provision which makes an appeal inadmissible? We will see what happens in case Free raises the QPC again in the course of the appeal proceedings in the merits. As a last word, it may be interesting to look at the claims as limited, which can be found here on the online register. Claims 1, 4, 9 and 11 were modified by the insertion of a number of additional features. Also, claims 12 to 15 directed to a software product and to a support for the software were deleted. Those were the claims which were found in first instance to relate to excluded subject-matter. The deletion of these claims looks like a good move, strategically speaking. But it is too bad that we will not get the Cour d’appel’s take on the patentability of claims directed to “software products” as well as software supports. CASE REFERENCES: Cour d’appel de Paris, Pôle 5 chambre 2, September 9, 2016, Free & Freebox v. Directeur général de l’INPI & Orange, RG No. 15/21319; and Cour d’appel de Paris, Pôle 5 chambre 2, September 9, 2016, Free & Freebox v. Directeur général de l’INPI & Orange, RG No. 15/24934.